Leeds has for a while now, had a great coffee scene, full of dedicated individuals helping to improve the standard of service to the city’s increasing desire for a good cup of coffee. None are more dedicated than the guys (and girls) over at Laynes Espresso who have been serving up great Square Mile pourovers and espresso for years. 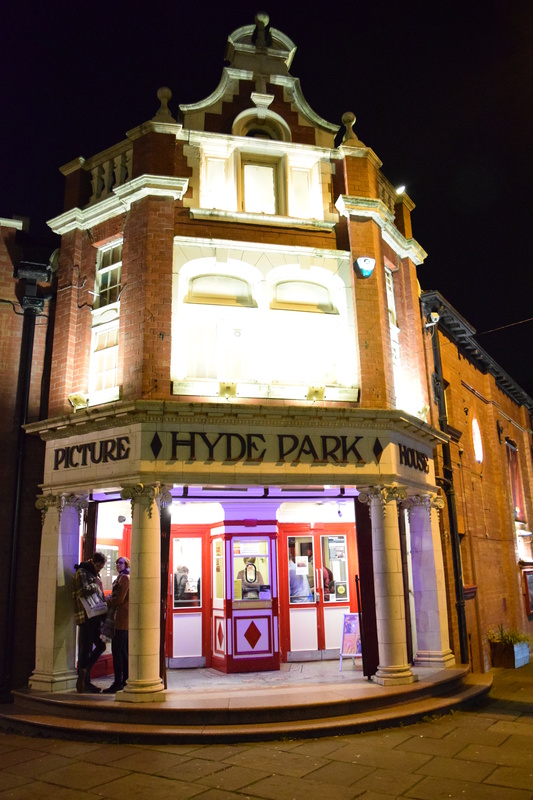 Never afraid of branching out and trying something new, Laynes teamed up with Workshop Coffee, Drop Coffee and the equally adventurous Hyde Park Picture House to bring ‘A Film About Coffee’ to an eager, if not fanatical Leeds audience. Without hesitation the major coffeehouses of Leeds turned out in full force, with the likes of MrsAthas, La Bottega Milanese and even Sheffield’s Upshot Espresso being in attendance. It was hard to tell what the audience was more excited for, the start of the film or the three filter choices being served up by Laynes in the cinema’s foyer. Workshop had provided their roast of Elias Roa’s Finca Tamana, Drop Coffee their Epiphany Muhirwa from Rwanda and there was a third from Square Mile for tasting. Without hesitation I dove in for a taste from one of my favourite coffee farms, Finca Tamana. Roasted slightly darker than I’d had coffee from Finca Tamana before, it offered a new perspective on their coffee, a complex combination of sweet and chocolatey nuttyness with hints of red apple acidity creeping through, left me savouring every sip before the lights came down and the curtains came up. Here was what some had been waiting years for, A Film About Coffee. ‘A Film About Coffee’ is much like a good cup of specialty coffee, it’s clean, vibrant, aesthetically pleasing and it entices the senses. Bourne out of an adoration for the coffee process, the film originally focussed on specialty coffee purveyors and that exciting moment when the coffee reaches the cup. As development went on it became clear that the magic begins at the roots of coffee, literally. Coffee is an industry that requires care and attention from the first moments of its conception. The Idea being, that at any stage of the process of creating a great cup of coffee, each individual has the opportunity to impart ruination on the humble coffee bean. As the diligent barista is responsible for the perfect extraction, so is the attentive farmer responsible for the careful cultivation of their crop. This creates a multi layered differentiation of dedication to the coffee that garners the respect of individuals from different stages of the process to each other. It is these relationships, between all the parties involved in coffee production, that the film attempts to look at and in doing so, begins to highlight the significant importance and value of these relationships to the coffee consumer. Speciality coffee is not just a drink, it is a community focussed on direct links between its origin and its consumption, it is a community full of individuals who are dedicated to traceability, sustainability, quality, consistency and transparency. A Film About Coffee encapsulates this ideology perfectly, highlighting the passion and dedication of the individuals involved in the coffee industry, to bring us, the consumer, great cups of coffee. It is a film that opens a window into a world unfamiliar to many who drink this great beverage. This window helps us to see behind the mystery of coffee and begin to think about it in a different light. Coffee is not just a caffeine hit in the morning, it is a livelihood for farmers from some of the poorest countries in the world and speciality coffee is a way to recognise hard working and dedicated farmers and provide them with opportunities to make a greater living. The direct trade relationships between roasters and farmers offer farmers the opportunity to fetch a greater price for their coffee as an alternative to the paper price of commodity coffee, allowing them to improve their production and local economy. This provides the consumer with the opportunity to purchase coffee of a higher quality and a higher ethical standard. This theme of the film will have you smugly appreciating your next speciality coffee in the understanding that you are making a small but significant difference in choosing to purchase speciality rather than commodity coffee. This understanding will however, be tempered by the knowledge that you should still probably be paying more for your coffee, if we are to really address the inequalities of production. A Film About Coffee isn’t just a serious treatise on the social implications of coffee it’s also a platform for some great coffee imagery. 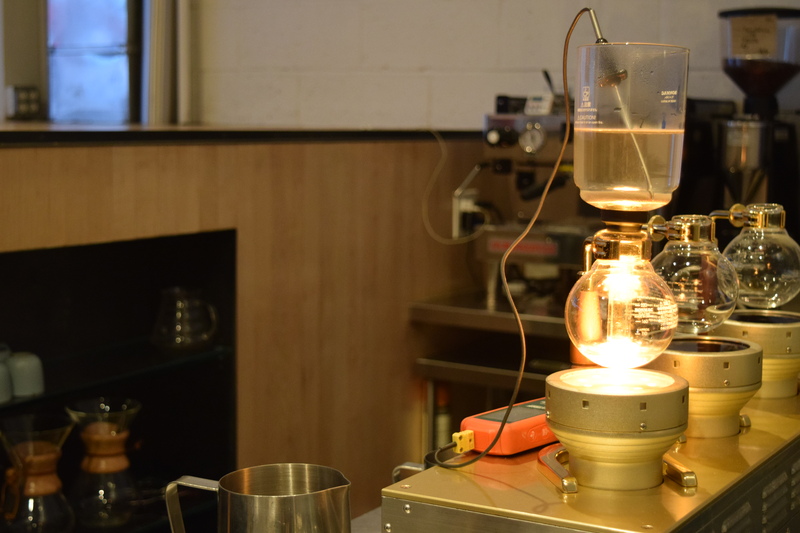 Whether your fanatical about espresso machines or hysterical about syphon coffee makers, the film provides slick images of both with commentaries from some of the coffee industry’s leading figures to match. Along with the lovingly shot visuals of Katsuji Daibo’s now closed Daibo Coffee in Tokyo, which blur the lines between art, tradecraft and ceremony. It is clear that the makers of this film are as in love with coffee as the baristas they show competing in the World Barista Championships. In the end, you’ll be left with the dilemma of whether to book your next flight to New York to head to Blue Bottle Coffee’s siphon bar or to Tokyo to sample Bear Pond’s espresso philosophy. 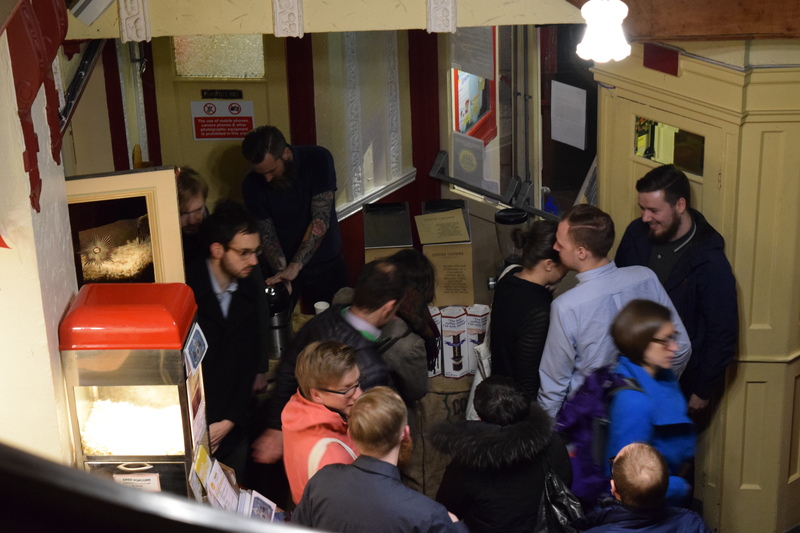 This entry was posted in coffee, film and tagged a film about coffee, Coffee, hyde park picture house, laynes espresso, leeds, specialty coffee by commoditiesconnoisseur. Bookmark the permalink.